At Best Choice Massage, our team of highly skilled professionals work with only one mindset which is to satisfy our customers completely through our rejuvenating services. We are known for offering the best traditional Thai massage services in Westminster. Thai massage is one of the most conventional ways of maintaining good health, relaxation, and a stress-free life. Our therapists make sure that our clients get the best treatment as per their health needs in the best manner possible. At Best Choice Massage, our clients get all the best methods which include deep pressure, acupressure, passive yoga stretches and even compression for the purpose of restoring balance to the mind and body. These methods when all used in tandem greatly increase the effectiveness. • Helps in relieving tension and headaches which is a growing need in today’s times. • Helps in reducing just about every type of back pain. • Helps in relieving muscle pain along with joint stiffness and pain. • Increases flexibility and range of motion. • Thai massage also helps in stimulating the overall circulation and lymphatic drainage system. • Helps in boosting energy. • Helps to calm the nervous system. Looking for Thai massage in Westminster? If yes, then we at Best Choice Massage provide you with the most exceptional massage therapy services by helping our clients feel relaxed and stress-free. Thai Massage is a classic massage style that is proven to improve muscle function and calm the mind. Our professional masseuses provide Thai massage at a very high level. You will leave our studio calm and relaxed after a professional Thai massage. 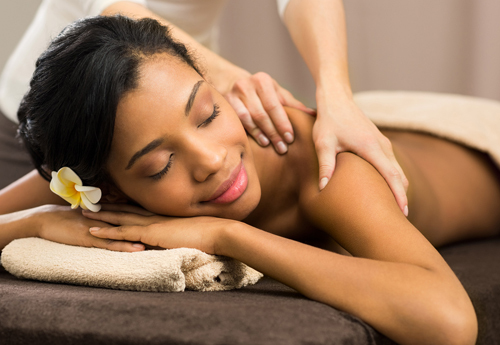 For a calmer mind and body with less tension, call Best Choice Massage today!